The 2016 American Institute of Architects Spokane Design Awards have been announced. 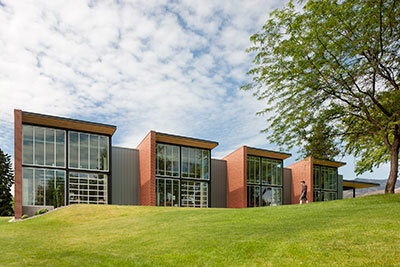 The highest award, the Honor Award, was given to Wenatchee Valley College Music & Arts Center, designed by Integrus Architecture (pictured above). Other winning firms are Uptic Studios, Prentiss + Balance + Wickline Architects and NAC Architecture. Go to aiaspokane.org for images of each project and more information.